We have two photos today from Tara Tanaka (Vimeo page here, Flickr page here) in Florida, as well as a video she took a while back that I’ve never posted. First, the photos. Meet Marshall the marsh rabbit. Note the small ears, the long legs, and the square face, almost like a capybara. 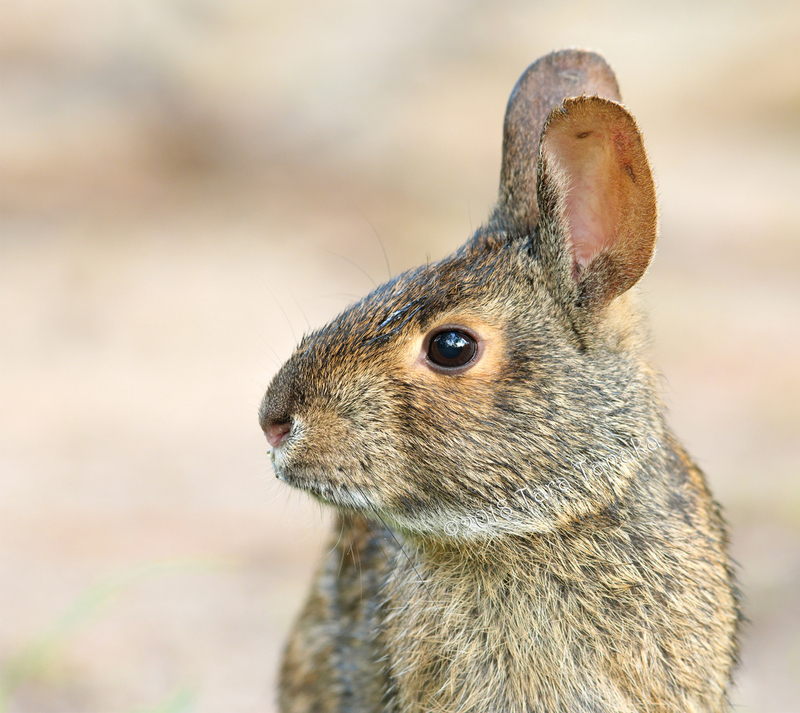 The marsh rabbit (Sylvilagus palustris) is a small cottontail rabbit found in marshes and swamps of coastal regions of the Eastern and Southern United States. It is a strong swimmer and found only near regions of water. 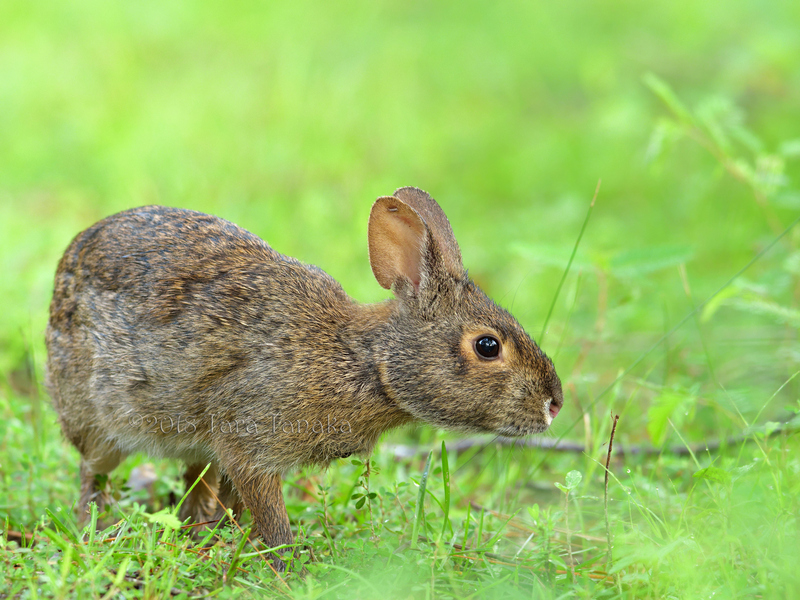 It is similar in appearance to the eastern cottontail (Sylvilagus floridanus) but is characterized by smaller ears, legs, and tail. This was the very first brood of BBWD’s we had. I had a less stable tripod and my hands were shaking as I was so nervous. That same pair has since nested in that box multiple times, sometimes raising more than one brood in a year. Be sure to watch this on the big screen, and don’t miss the credits at the end! This entry was written by whyevolutionistrue and posted on June 17, 2018 at 7:45 am and filed under birds, mammals, photography, reptiles. Bookmark the permalink. Follow any comments here with the RSS feed for this post. Both comments and trackbacks are currently closed. I’ve seen other videos of avians “feeding” fish. Here are some explanations, one to explain a cardinal engaged in this behavior,the second explains the waterfowl ostensibly feeding the fish: https://news.nationalgeographic.com/2017/08/cardinal-feeding-goldfish-instincts-parents/. Not so altruistic as it seems at first blush. The Teamwork video was outstanding. Music was beautiful. Thanks for sharing. Thanks very much Colleen – I’m glad you enjoyed it! Wow! Do you have multiple cameras going? Besides the photography the editing is simply wonderful. About a week ago I was out in the field on a bug shoot, and a turkey hen exploded from cover near my feet. About gave me a heart attack. She too did a big ‘broken wings’ act, leading me steadily away from her batch of fuzzy chicks that I only then noticed were in the nest. I of course complied. She stayed very close to me to be as tempting as possible, and after about 50 yards she quieted down and circled back to her nest. Thanks very much Mark! Yes, I had two GH4s, each on a spotting scope. I kept one running on the box, and I followed the action with the other one. Not long after that I started running three, which is quite a bit to keep up with as the light changes and the sun heats up the lenses/scopes and changes the focus and batteries run down, but I’ve found that having a wide angle view can help a lot to tell the whole story. We’re very lucky to have you, Tara. You do amazing work. Thanks. Ha ha! Thanks BJ – love your title. I’m so happy that Jerry and I found each other – it’s great to be able to share what I see and record with Jerry’s large following. It means so much more when I’m shooting video to know so many others will get to see it too – that I’m not the only one who will get to have the experience. Well, you’ve also gained at least one visitor to your website, as well (me!). Handsome rabbit and beautiful ducks. I was on the edge of my chair watching that video. Glad it had a happy ending. When ducks that don’t make aerial nests and then their ducklings must jump out of the nest before they can fly, where do they stay after that? Do they sleep on the ground in a sheltered spot with their parents, or what? Do the parents ever return to the nest while the current brood is growing? I was on the edge of my seat shooting it!! My hands were shaking already since it was our very first brood of Whistling Ducks, and when the gator showed up I didn’t know what was happening at first, I just saw how upset the parents were. Black-bellied Whistling Ducks are relatively new to Florida, but I think they evolved with Caimans, so I think that is why it is instinctive for them to know what to do. We have one pair that will bring out all of the hatched and ready ducklings (that just hatched the day before) and keep them in the area while they watch the box, and one of the parents will go back in the box and check on any hatching eggs or ducklings that aren’t yet strong enough to jump out – we just had that happen last week, one duckling took 3 hours to make it out! As soon as everyone who can get out does, the parents take them back in the vegetation to feed and to keep them hidden from predators. We did have one pair bring 2-day old ducklings up into the yard so THEY could eat corn, but that’s very unusual: https://vimeo.com/221048051. I don’t recall them bringing them up again for at least a couple of weeks. The parents generally don’t fly at all until the ducklings are almost ready to fly, at about 8 weeks old. I don’t know if they sleep in the water, on vegetation, or on land. Thanks for the explanation of what happens to the ducklings once they plop down from the nest. Those ducks are gorgeous, and the colors of their bills, lovely. I second Christopher’s remarks below about watching the “wounded animal decoy method in action,” and see the gator swim off, so confident of an easy meal just beyond the lily pads. That was pretty spectacular. It was great to see that wounded animal decoy method in action, and with the intended effect. Thanks Christoper! I had no idea it would turn out so perfectly at the time, and I felt sure the gator would just come back, but he never did. Cute rabbit. There is a rabbit unique to the Idaho basin that is “distinguishable from other leporids by its small size, short ears, gray color, small hind legs, and lack of white fur on the tail.” The pygmy rabbit (Brachylagus idahoensis). Convergent evolution? What say you creationists? Great film and duck story, Tara! Good stuff Tara. I bet Al Alligator has an evil villain’s twirly moustache! Thanks Michael! On that day he had an empty stomach :-). Great video! *sniff* And on father’s day! Thanks – and yes, it was a great choice by Jerry for Father’s Day! What a wonderful video! Love seeing the hero duck on top of the nest box after the whole ordeal ends. Thanks very much Debbie – so glad you enjoyed it! I didn’t see him land on top of the box, and was so relieved to see him there, but was still nervous the villain would return to the scene of the attempted crime! The music editing was a treat…great dramatic effect. Thanks for the marsh rabbit introduction; I’ve never seen one of those cuties. Thanks Mark! I’d never seen or heard of them until we moved here. They look like a cross between a cottontail and a guinea pig. What a fantastic video, and with a happy ending! I’m sorry PCC(e), but those BBWducklings are even cuter than your baby Mallards…. I’ll admit you’re right, but you have to admit that mallard ducklings are über-cute, too. . . . Yes, they certainly are uber cute! All ducklings seem to be so. Here we have Pacific Black Ducks (Anas superciliosa) and Wood Duck (which nest in trees). They are a joy to observe in spring. “marsh rabbit”, eh? Looks a lot like the brown ones which live near me – I guess cottontails are all very similar. I will have to ask my friend who is obsessed with rabbits what she knows.